Nikolai Polozov earlier acted as chief defender of the Deputy Chairman of Mejlis. 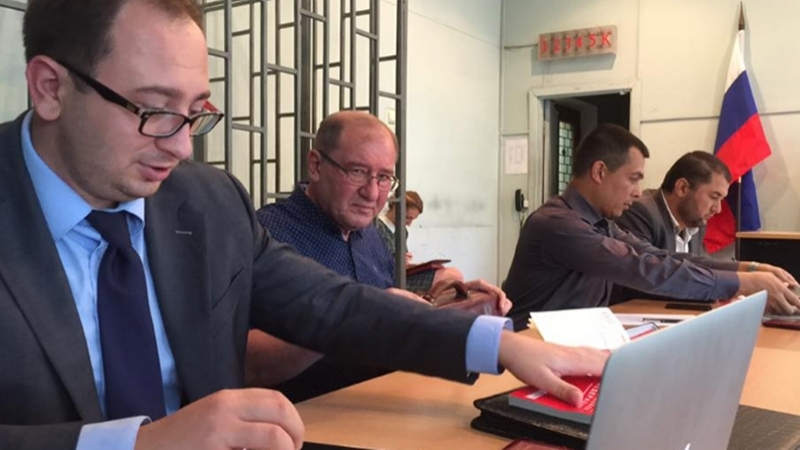 August 2, another meeting on the case against Deputy Chairman of the Mejlis of the Crimean Tatar people Ilmi Umerov is held in Simferopol district court. During the meeting, lawyer Nikolai Polozov, who was illegally withdrawn of defence, will be interrogated, Ayshe Umerova informs. “Today, apart from making a number of motions and completing interrogation of the translator Saledinov, lawyer Nikolai Polozov is to be questioned as a witness," she wrote. Nikolai Polozov was one of the lawyers of Ilmi Umerov. On the morning of January 25, 2017, FSB officers illegally detained lawyer Nikolai Polozov in Simferopol and brought him for interrogation as a witness in the case against Ilmi Umerov. The lawyer regarded this act of the special services of the occupants as abduction. In the course of the preliminary inquiries in the "Investigative Committee of the Russian Federation in the Crimea," Nikolai Polozov gave explanations on the facts of his forced drive to the FSB of the Russian Federation and the unlawful interrogation as a witness of the circumstances that he had become aware of as a result of providing legal assistance to Ilmi Umerov. During the interrogation the lawyer did not make any statements, but later an empty protocol of his "interrogation" appeared among the materials of the case. The main motivation of the FSB was to transfer Polozov from the status of defender to the status of witness in a case. His name was not mentioned in the indictment in the prosecution's list of witnesses.